Join MRNY's Youth Power Project for a march to Maria Hernandez Park and block party to celebrate Bushwick's LGBTQI community. GLOBE, the LGBTQI Justice Project of Make the Road NY, welcomes Bushwick and the greater Brooklyn area to their 11th annual #BushwickPride2016 at Make the Road NY this Saturday, August 6th at noon. A celebration of local lesbian, gay, bisexual, transgender, queer, intersex, and gender non-conforming people of color, #BushwickPride2016 aims to debunk a presumption that PoC are unsupportive of the queer community. Standing apart from prior years, this year’s Bushwick Pride will also serve as an end of year celebration for MRNY’s Youth Power Projects from both Queens and Staten Island. “It’ll be a shared space of many intersecting and shared identities,” says Paolo Lebron-Guzman of MRNY. Commencing the day of events is a march at noon from the Make the Road office to Maria Hernandez Park and back, as is custom for Bushwick Pride. 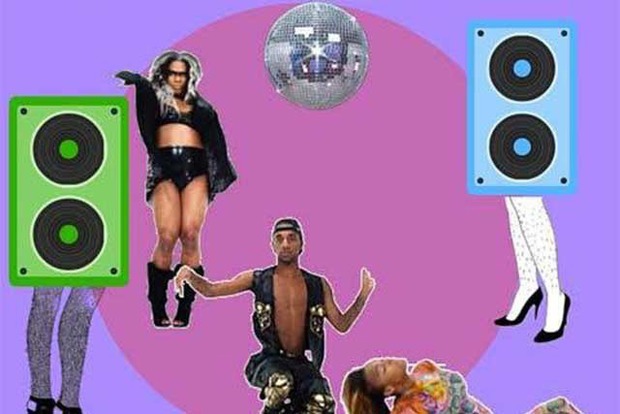 The ballroom-themed block party that follows will round itself out nicely in the form of free food, music by local queer DJs (including DJs Cremosa and Roze Royze), as well as other community performers (you will have to attend to find out who). “The street will be filled with bumping beats, delicious smells of sofrito and frituras, and our beautiful community,” notes Javier H. Valdés, Co-Executive director to MRNY. This year’s theme is SURVIVAL and comes as a response to recent attacks on LGBTQI PoC in Orlando and in isolated incidents around the country. “Brown and black queer and trans people experience daily violence and only through our collective healing and organizing can we survive. And it's meant to be extreme and radical. Our survival is urgent,” reveals Lebron-Guzman. Show up, support, and have fun at Bushwick Pride this Saturday! 301 Grove Street, Brooklyn, NY 11237, near the Knickerbocker M subway stop.